Bear hunting season opened on September 6 and runs through October 3rd. Wildlife Services confirmed that wolves killed a Walker Hound on 09/08/17. The attack occurred in the Town of Blaine, Burnett County. More information on the wolf caution area-maps available on the gray wolf webpage. Wildlife Services confirmed that wolves killed a Walker Hound on 09/07/17. The attack occurred in the Town of Draper, Sawyer County. More information and a wolf caution area-map are available on the gray wolf webpage. Hunters are reminded to use the wolf caution area-maps on the DNR website (dnr.wi.gov, keyword “wolf depredation”) to help reduce conflicts. The decades-old conflict between Wisconsin Bear Hunters and wolves continues every summer in the north woods. 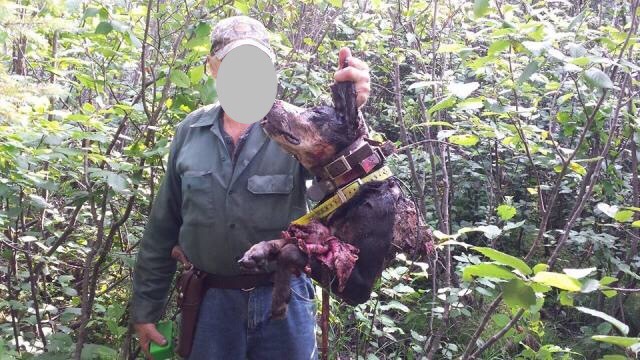 In 2016 41 dogs were killed in the pursuit of bear in northern Wisconsin. Are any wolves being injured or killed in the decades-old conflict between bear hunters and wolves? In a call to the USFWS services Great Lakes Office I asked them that question. USFWS didn’t have an answer for me. My concern is that when USFWS investigates a wolf depredation on a hunting dog; do they investigate if any wolves were injured or killed as a result of the encounter? Wolves are an endangered species protected under the Endangered Species Act. The word “protected” was the sticking point for me. Criminally harassing protected gray wolves is a violation of the ESA. There is hope for a solution to the deacades-old conflict between bear hunters and wolves, and it’s a legal one. 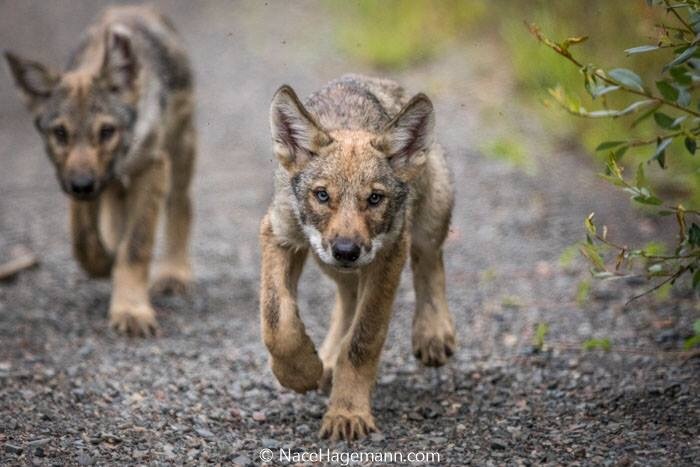 The Criminal Complaint Cites State Payments for Hunting Dogs Killed in Wolf Clashes was filed on August 2, 2017 by Public Employees for Environmental Responsibility (PEER). Additionally, because hound training season in Wisconsin takes place when wolves are raising their pups, the fact that hounds are running through clearly identified wolf territory unchecked means that such actions directly impair the wolves’ ability to breed, feed, and find shelter; activity specifically protected by the plain language of the ESA’s implementing regulations. 50 C.F.R. 17.3. Such action is in obvious conflict with Congress’ intent to protect a fragile species and constitutes a criminal violation of the ESA. PEER Criminal Complaint letter to USFWS. In 2017 minimum wolf population estimates was 925.